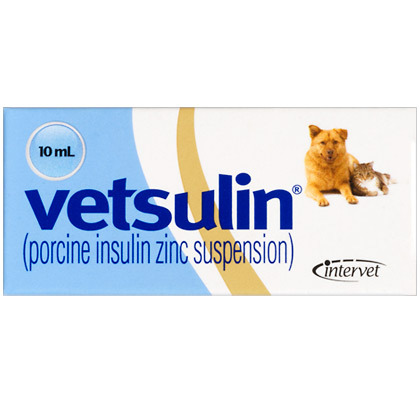 Vetsulin (porcine insulin zinc suspension) (PLEASE NOTE: THIS PRODUCT HAS JUST BEEN PUT ON ALLOCATION BY THE MFG. AND WILL ONLY BE AVAILABLE IN VERY LIMITED QUANTITIES) is the first and only FDA-approved insulin available in the U.S. for treating diabetic dogs and cats. This product requires 2nd day shipping. This product requires 2nd day shipping.